Google have recently announced through their webmaster blog, that there is a new Google mobile update to take place on the 21st of April. This update is set to enhance mobile user’s web-browsing experience with them announcing “users will find it easier to get relevant, high-quality search results that are optimized for their devices.” This Google mobile update has caused mayhem for business owners and webmasters, with some labelling it as “Mobilgeddon” and “SEO-apocalypse”. This post has been written to try and help identify what will happen after this new Google mobile update has taken place and how to withstand the Google update from a search ranking view. Mobile-friendly means just that, mobile-friendly websites are websites that are designed for a mobile user. Mobile users tend to want to access information quickly. Mobile-friendly websites may feature bigger buttons so that they can be clicked on easily with your thumb rather than a cursor, or they may offer concise messaging and design so that users can receive information as quick as possible. A mobile friendly website needs to be properly coded, as properly coded websites will minimize load times and provide a faster user experience, which is exactly what a mobile user needs. Use this free tool to see whether a site is mobile-friendly. What’s going to happen if I don’t have a mobile-friendly site? More and more people are taking to their mobiles when it comes to browsing the internet, in fact, there are more people who own mobile devices in the world than there are people that own toothbrushes. This is why it is so important to have a mobile-friendly website. 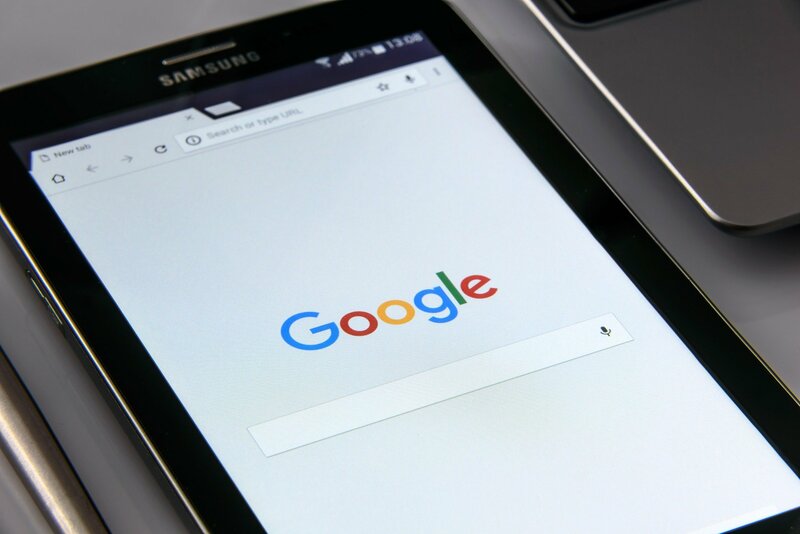 Although come the new Google mobile update, it doesn’t appear that Google will be penalising desktop versions of a website for not being mobile-friendly, it will be a major factor on mobile devices. You may find your competitors, who you once ranked higher then on mobile searches, will overtake you just because they have a mobile-friendly website. It is incredibly important to make sure you have a mobile-optimised version of your website or a responsive design website in order to preserve your traffic. With the new Google mobile update, mobile users will find it easier to access relevant and mobile-optimised information. Why are these Google mobile updates taking place? Google are rolling out this new update to enhance mobile users web search experience. The mobile update’s aim is to provide mobile users with the most relevant and accessible pages. The new Google mobile update will focus on the mobile user experience. What do I need to do to make sure the new Google mobile update does not affect my ranking? Firstly, it is not believed that having a website which is not mobile-friendly will affect your desktop ranking come to the new Google mobile update. That being said, it is suggested that a quarter of the world’s population will own a smartphone by next year and it is currently considered that approximately 2/3rds of all adults own a mobile device. This is why it is ever so important to ensure you are running a mobile-friendly website, not only will a mobile-friendly website help you withstand the new Google mobile update, but you may also find that mobile users will want to spend longer on your site because of its pleasing aesthetics. If your website is currently not responsive or mobile-friendly it is incredibly important to make this change before the new Google mobile update takes place. previous post: SEO services to benefit your whole site! next post: How Blogging Benefits SEO!